Wyoming has landed their fourth prospect from the State of Colorado for the 2016 recruiting class after receiving a verbal commitment from 6’2″, 180-pound safety Alijah Halliburton from Aurora (CO) Overland High School. Halliburton led Overland (3-8) with 112 tackles, two sacks and one interception this past season. He selected the Cowboys over offers from Nevada, South Dakota, South Dakota State, North Dakota, Northern Colorado, Colorado State-Pueblo, and Adams State. 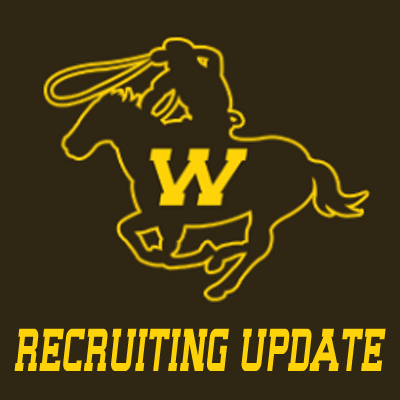 Halliburton officially visited Laramie this past weekend after being offered clear back on April 30th. He was recruited to Wyoming by defensive end coach AJ Cooper. The Overland star was a former high school teammate of 2015 Wyoming football recruit Kevin Prosser and 2015 Wyoming basketball recruit Austin Conway.